The Fix FedRAMP paper released a few weeks back from the FedRAMP Fast Forward Industry Advocacy Group has given a cohesive voice to widespread concerns about the cloak-and-dagger and inefficiencies of the FedRAMP process. We briefed the GSA FedRAMP PMO, the entity at the center of the debacle, on the paper before making it public. Disappointingly, but consistent with its petulant voice that tries to blame industry for the program’s shortcomings and dismal track record, GSA refused to comment on the paper. Dumping gasoline on the fire, late last week GSA pulled out of the March 3rd Cloud Computing Caucus meeting focused on FedRAMP’s shortcomings – a program built to provide GSA with a platform to answer the issues raised in the Fix FedRAMP paper – and pointedly to roll out its long-over-due FedRAMP 2.0. 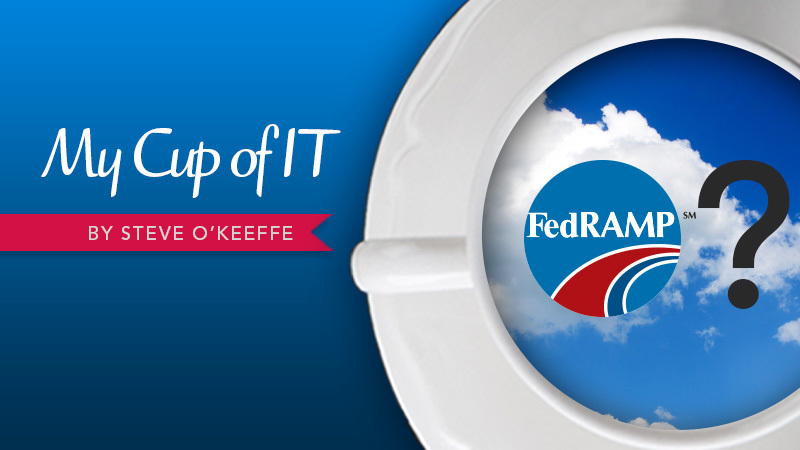 The opportunity to transform the outcomes of failing Federal IT rests on cloud. Sens. Tom Udall, D-N.M., and Jerry Moran, R-Kan., call out reforming FedRAMP in their Cloud Infrastructure Transition Act. If FedRAMP’s a flop, let’s just call the time of death. Uncle Sam can’t afford GSA to opt out of FedRAMP. Congressmen Gerry Connolly. D-Va., and Ted Lieu, D-Calif., will open the session on March 3rd. It’s going to be a hot time on the Hill on March 3rd.